The pure Bloemenbeek creek water stimulates the senses. 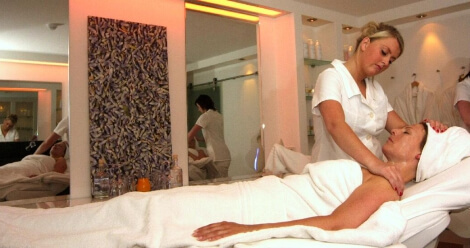 Experience personal care and attention and restore the balance between body and soul. Six modern, tastefully decorated salons create an ambience in which fragrances, colours and music provide the ultimate experience. Massages are given in the Outdoor lodge in the leafy garden, weather permitting. 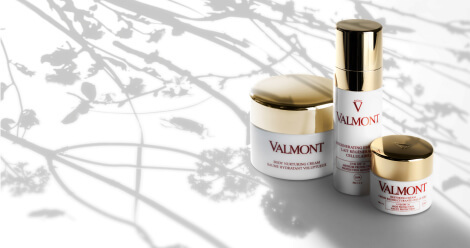 Our specialists only use internationally renowned brands, whose superior products are made from natural ingredients. Bloemenbeek’s World of Wellness & Beauty offers extensive options for you as an individual guest, as well as for smaller groups. Our professional beauticians would be delighted to advise you on the most suitable treatment(s) according to your skin type and condition.